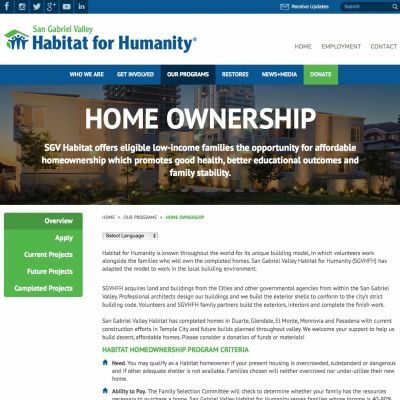 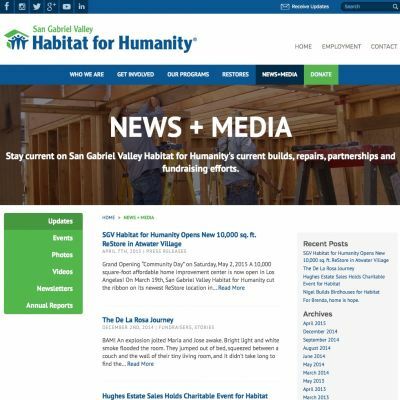 I collaborated with the marketing team of San Gabriel Valley Habitat for Humanity to create a new website for their organization. 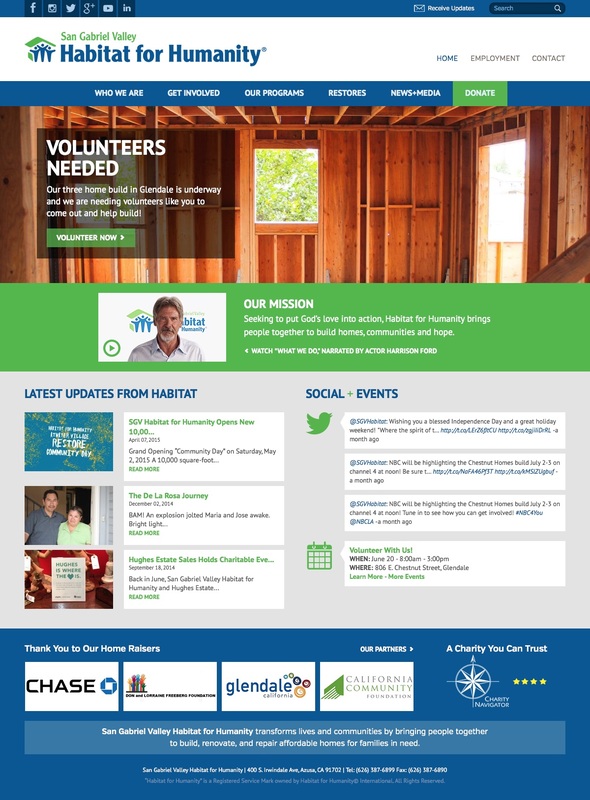 The ultimate goal was to create a website that could be easily managed to promote their latest news & events. 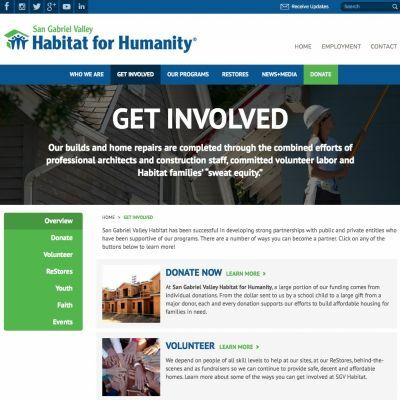 Everything from sponsors to videos to programs is easily controllable through the WordPress admin. 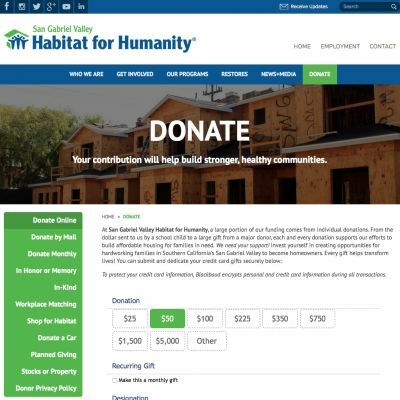 Blackbaud was also integrated to power their donations.